Chen Ping, ‘#7 Space Force – Idol and Lady’, 2018. Oil on canvas, 137 x 112cm. Courtesy: the artist and Colville Gallery, Hobart. 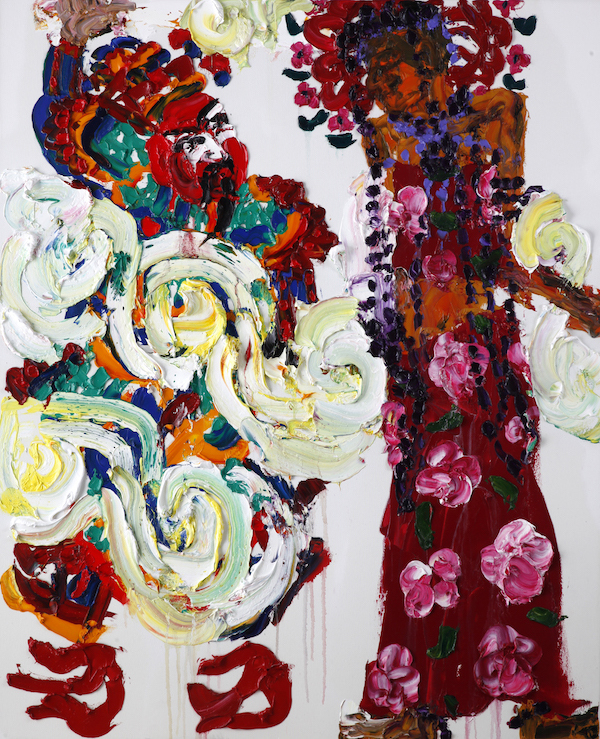 Chen Ping weaves mythology and painting narratives on canvases laden with saturated colour. His cultural heritage of ancient China together with Western references combine in a celebration of stories across the theme of the Lady/ Ladybird’s Garden.